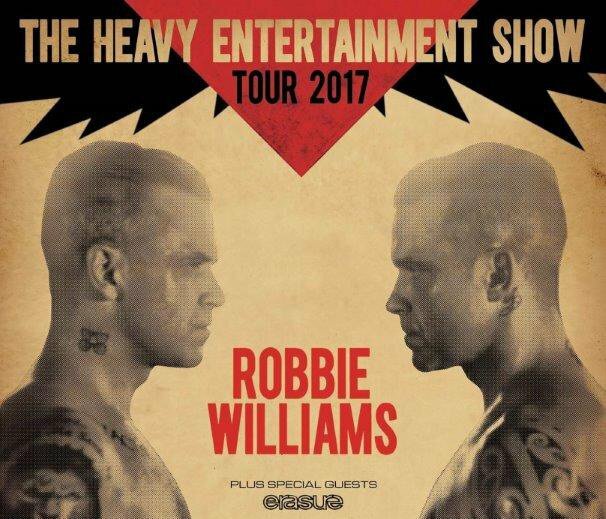 erasure4rum › Erasure Concert Tours + › Heavy Entertainment Tour (2017) › Supporting Robbie Williams! Supporting Robbie Williams! This thread currently has 13,431 views. Yes, I can see why they are doing it...but I hate to see the band I have loved since I was a kid become a support act! The tour poster image I posted earlier from EIS' twitter is not being well met. I am starting to feel for Richard as will bear the brunt of this. Again, as I said then, I really hope this is a Tiny Tour sized tour in preparation for a full tour of their own, but I am not feeling hopeful. It just looks bad to be a supporting act right after a 30 year anniversary and anthology box set. Plus, you practically need a magnifier to see Erasure at the bottom. Pleeeeease tell me this is something like another Tiny Tour, and not that they are no longer headliners! "An Erasure message board? What will they think of next?" Before we know it they'll be rocking up at those 80's weekends at Butlins. They're going to play the London Stadium -that's the 2012 Olympic stadium. That's their first chance to get to play a venue of that size for decades. I don't think the PSBs saw supporting Take That in 2011 as a step down and I doubt this is either. With these dates being in June, this *might* explain the new album being moved from March to May? You invoke the name of PSB, and look at the venues they're playing as we speak. If this helps V&A get to where PSB is now, I might accept that, but it's not what I expect nor hope for; certainly not in this anniversary year with so many releases. It only helps foster that idea Vince's collaborations and ventures are mainly to pay the bills, and not things he'd otherwise do. No, this is a bitter pill to swallow if that poster is any indication. 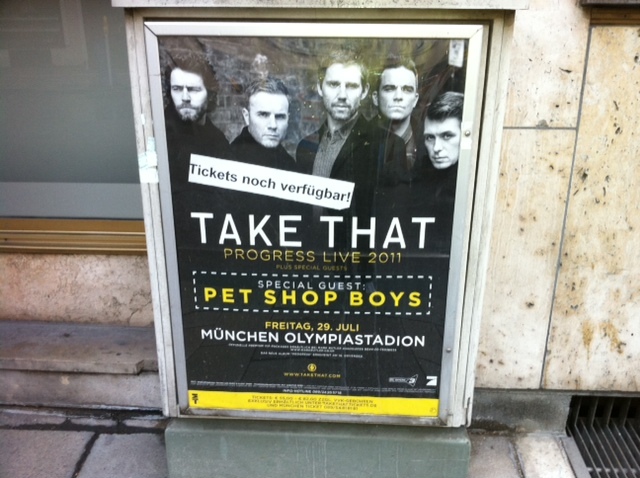 Even that Take That poster was more respectful of PSB. I really hate to sound so pessimistic. Look at it from the positive side though. At least we get to go home early. I will give this one a miss, I am not paying those kind of ticket prices for a short greatest hits set. Am I In Tomorrows World or in a Sweltering Violet Flame? oh look- World Be Gone! ...and there goes the funny moment. Yes, that's likely what we'd get...well, what you'd get. Is Robbie planning on coming to the US with the boys, or will they tour with Howard Jones? In all seriousness, that would be a nice bill, but Howard has to open. If Robbie comes to the US he will be the opening act. One thing erasure can still do is still sellout mid size arenas all over the US and even Canada. This tour takes Erasure back to the masses. If they can gain new fans/publicity/momentum from this then surely it's worthwhile. Robbie Williams fans presumably like good pop music so I expect Erasure to go down well with them. Also, the thought of Vince and Andy playing the Olympic Stadium in London is an exciting one! !